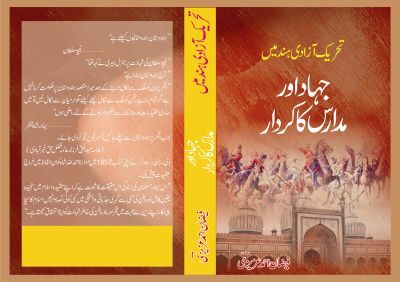 As per my interest in reading and writing i have write few book. The aim was to show the fact to the people. I especially i pike that topic which was misguided by the anti social and Islamic element. for the said purpose I have wrote the said books. When I saw there is big universal misunderstanding between term Jihad and Terrorism, due to which the whole world is facing great problems. 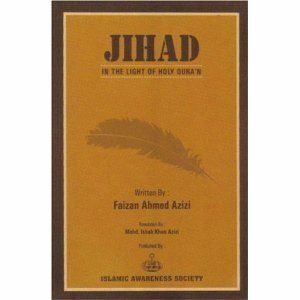 Then I pick up pen and try to clear the misconcept about Jihad, which is created by some partial groups and they link Jihad with the Terrorism. Jihad doesn't mean to kill any innocent or create violence and to spread the terror in the society. Jihad and Terrorism both are the two different things and both are opposite and cannot be used in the same context. Jihad is an Arabic Word, which means to struggle and to fight. Quran says to struggle again our own conscious first and then to struggle against the injustice and inequality. Jihad brings the peace and justice in the society and gives the right to each and individual human being. Now a day because of some anti social elements Jihad is linked as a Terror due to some group who make violence in the name of Islam and Jihad. Jihad is an instrument to destroy evil-doers and to establish justice in the society. Islam has rejected all strife and struggle which contributes to self interest and hatred. Islam has always despised conflicts which are fought to serve personal purposes and are an instrument to conduct ethnic cleansing. On the contrary it has declared such acts to be unislamic. Every religion has its own configuration. There are some groups which oppose their religion out of the way, while there are some which use religion for their self achieving goals. History is a witness to the fact that there is no religion in the world, which propagates hatred and violence, but its followers indulge in them. For example Hitler exterminated millions of Jews which is known as Holocaust what is it mean the whole Christian and Christianity is a terrorist and second side Jews eliminated Christians during their supremacy and according to Christianity Jews ruler Killed Jesus (PBUH) know tell me friend what you tell about the killing of Prophet I thing it is a very crucial and terror act was done by Jews but friend it doesn't mean the all Jews and Judaism is a religion of terror.. These are baseless allegations, which do not hold even an iota of truth. Followers of other religions have definitely indulged in such inhumane acts. Now a day in the name of Peace what a superpower country doing? We all are well aware In the name of peace many innocent was killed and whole Iraq was demolish on the base of lie but the whole world keep silent and not making noise as they make on the name of Jihad.I have tried to explain the following things. 6.What Quran and Holy Prophet (S.A.W) and his companion say about the Jihad etc. 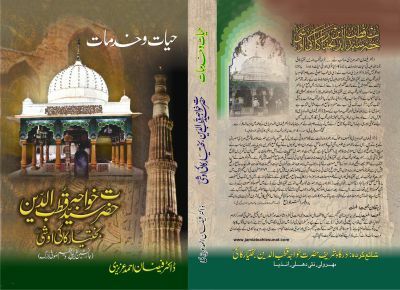 This book is also available in the British Library and other institute and library also. God create human not only in some part of the world but in the rest of the world where human being are staled. That area covers Desert, Ice land sea area. All human are not same in nature or their diet is also different as well cloth also. You can say the life style of a human being is not same due to geographical distribution and their area climate and resources. 4.Khawaja Qutbuddin Bakhtiyar Kaki Rehamtulla Alaih family,Teaching, His Prayers and Power.
" The minority communities in the country are given due consideration through different scholarship schemes sponsored by the Ministry of Minority Affairs, Human Resource Development and some other ministry of Government of India state government, corporate Ngo's and Banks. Some aware persons and organizations took the benefit of these welfare schemes, while the ignorant persons could not avail these facilities due to lack of awareness. 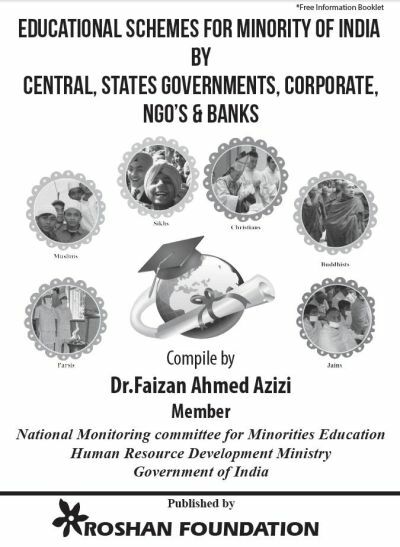 To propagate schemes for Minorities educational development We published this information booklet– “Educational Schemes for Minority of India by Central, States governments, Corporate, Ngo’s & Banks”.We also sincerely hope that by this collective initiative of ours, hundreds of those students, who otherwise would have been deprived of literacy, will contribute in the nation building.